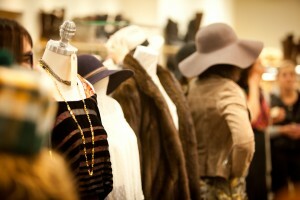 Rags Consignments, owned by Margaret Miner since 1995, sells mall and boutique-brand women’s clothing and accessories. 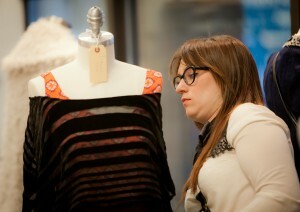 Rags is selective about what it consigns, choosing more than 250 items every day to put out on the sales floor. The store is focused on a shopping and consigning experience that is well organized, well curated, well staffed, professional, trustworthy and friendly. For more information about Rags, visit one of the following: website: www.iloverags.com; Facebook: www.facebook.com/RagsConsignments; Twitter: www.twitter.com/iLoveRags (@iLoveRags); Instagram: www.instagram.com/iloverags/ (@iLoveRags); Pinterest: www.pinterest.com/iloverags/. I have followed Denver-based fashion designer Mondo Guerra since his first appearance on “Project Runway,” the design-competition show with host Heidi Klum and mentor Tim Gunn. Mr. On the Town and I (yes, real men do watch “Project Runway”), were crushed when Guerra was denied a well-deserved win. But he popped up again in “Project Runway All Stars Season 1″ and took home top prize. Ever since, Guerra and Gunn have formed a bond that has hooked up the two for charity events – most notably the sold-out fashion show last week to benefit Goodwill Colorado. On Tuesday, I finally got to meet the dapper designer during the Rags Consignments Street Style Off competition. 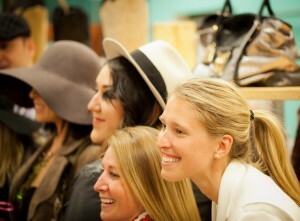 The high-end consignment store is in Cherry Creek North. Judges Jim Guttau from The Four Seasons Hotel Denver, designer Mona Lucero and Guerra declared the team from Dandizette Magazine – Tracy Bozarth, model Jenny McGlincy and Stephanie Richards – the winners with the outfit that included green tweed shorts with the words “not my problem” cut out at the hem, a black top, black leather and faux fur jacket and booties. Runner-up was Ariana Dufour from Denver Style Magazine with a print skirt, black crop top, jacket and boots. Rags Consignments, open since 1995, sells mall and boutique-brand women’s clothing and accessories. Rags is selective about what it consigns – choosing more than 250 items every day to put out on the sales floor. The store is focused on a shopping and consigning experience that is well organized, well curated, well staffed, professional, trustworthy and friendly. Rags has three locations: Boulder (3129 28th St.), Highlands (2027 W. 32nd Ave.) and Cherry Creek (201 N. University Blvd.) and offers mobile consignment. Beginning March 19, on the third Thursday of each month from 5 to 6:30 p.m., Rags will offer complimentary styling at the Cherry Creek location. In April, Rags will celebrate its 20th Anniversary; stay tuned for information about a sale and celebration on April 8. As for my new pal, Guerra, he has his sights set on the bright lights and big city of Los Angeles. Family issues are keeping him in Denver for now, but look for Guerra in La-La-Land some time this year. For more information on Rags, go to www.iloverags.com.